1. Select the cell, range, or table where you want to add data validation. 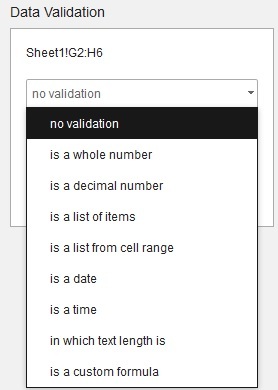 Click the second field, and select the desired data validation criteria from the list. To display help that tells people what the criteria is before they enter data, type your help text in the third field. Note: You can remove or cancel data validation for this range by clicking the buttons provided.